Getting the most from your home theater audio all goes back to what type of speakers you bring into the space, so that’s why recommend high-fidelity ones from one of our industry partners. The next step is figuring out what kind of setup you want that produces the best sound performance. You can choose a soundbar for a smaller theater, or even for a theater system in a multi-purpose media room. This product can add on to your TV’s built-in speakers, and works well to deliver sound to every corner of a smaller space. A two-channel loudspeaker setup can also provide fantastic quality for your media’s audio. But a surround sound system – with one central channel, and at least two front and surround speakers– can truly immerse you in your movie or show. The choice is up to you and what works best with your theater space. You can even go above and beyond a traditional surround sound setup. Have a high-end cinematic experience every time you watch a film with Dolby Atmos surround sound. Speakers that support the Dolby Atmos platform don’t use multi-channel integration. Instead, Atmos lets each sound channel travel from one individual speaker to another. This means the sound can come from in front, behind, or even above you, creating a three-dimensional sound space. For this reason, the other major difference is that Dolby Atmos layouts require in-ceiling or upward-firing speakers. You won’t just be enveloped in high-fidelity sound – you’ll feel like you’re right there in the middle of an action scene, a dramatic interaction, or a high-speech car chase down the city highways. You’ll never miss a line of important dialogue again! Dolby Atmos, hands-down, delivers the highest quality of audio performance for your home theater around. When you bring audio equipment into a space of any kind, you always have to take the room’s acoustics into consideration because they have the most significant impact on how fine-tuned the details of your sound will be. That’s why we recommend having a soft environment in your theater. That could include carpeting, drapes, and plush seating. In some cases, customized acoustic treatments in your walls and ceilings are also needed. These can help sound waves from bouncing around too much inside the room, which can result in feedback and muddled sound. Soundproofing your walls will also prevent any noise from leaking out or into your theater room to optimize your movie’s audio. A combination of proper acoustic paneling and soundproofing will create the ultimate listening and watching environment in your cinema. When you’re installing a home theater, your seating is undoubtedly at the top of your layout planning and priorities. You want comfortable seats, but you also need to make sure that the design is right for your sound system. Seats that have high backs can keep sound from reaching everyone in the room. The material of the seats is also crucial. It’s best if it is made of sound absorbing material, such as velvet or plush fabrics – this way, your seats won’t mess up in-place acoustic treatments. You can achieve incredible sound performance with seating that is both luxurious and efficient. 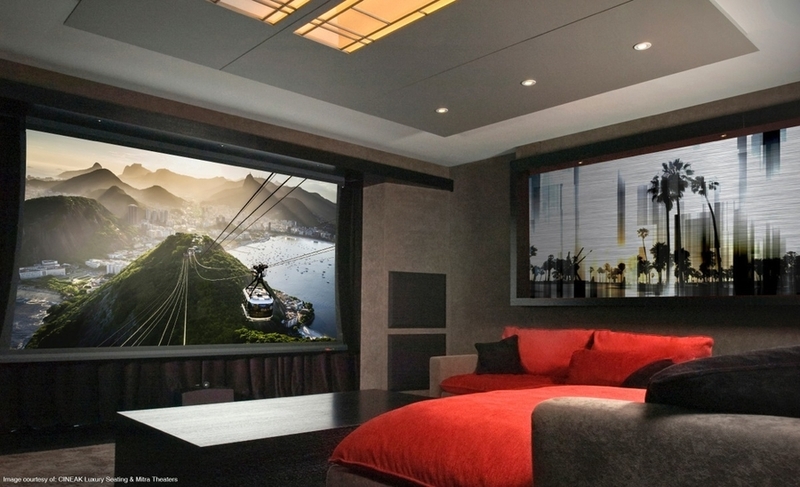 Want to learn more about elevating your home theater’s sound and audio performance? We provide service across the Dallas area, from Frisco to McKinney to Wylie. Feel free to give us a call at (972) 757-4002 or fill out our online contact form to schedule a no-obligation consultation with our team. We’d love to hear from you!